Palestinians: Mohammad Dahlan, the New Mayor of the Gaza Strip? Dahlan will be functioning under the watchful eye of Hamas, which will remain the real de facto and unchallenged ruler of the Gaza Strip. Hamas is willing to allow Dahlan to return to the Palestinian political scene through the Gaza Strip window. But he will be on a very short leash. Dahlan's presence in the Gaza Strip will not deter Hamas from continuing with its preparations for another war with Israel. Dahlan will find himself playing the role of fundraiser for the Palestinians in the Gaza Strip while Hamas hides behind his formidable political shoulders. Mohammed Dahlan is an aspiring Palestinian with huge political ambitions. Specifically, he hopes to succeed Mahmoud Abbas as president of the Palestinian Authority (PA). Knowing this, Abbas expelled him from the ruling Fatah faction in 2011. Since then, Dahlan has been living in the United Arab Emirates. Hamas, the Islamist movement that has controlled the Gaza Strip for the past decade, used to consider Dahlan one of its fiercest enemies. As commander of the notorious Preventive Security Service (PSS) in the Gaza Strip in the 1990s, Dahlan was personally responsible for the PA's security crackdown on Hamas. 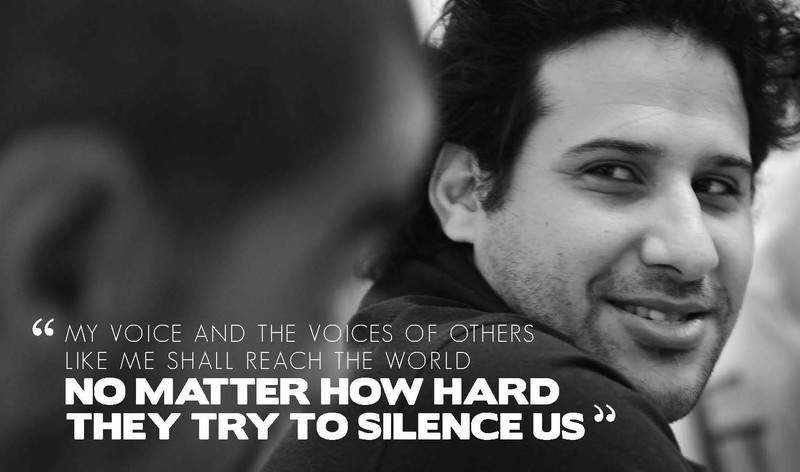 On his instructions, hundreds of Hamas activists were routinely targeted and detained. The enmity was mutual; Dahlan too considered Hamas a major threat to him and the PA regime in the Gaza Strip. Dahlan's contempt for Hamas knew no limits. On his orders, Hamas founder and spiritual leader Ahmed Yassin was placed under house arrest. Two other senior Hamas officials, Mahmoud Zahar and Abdel Aziz Rantisi, were repeatedly detained and tortured by Dahlan's agents. At one point, Dahlan ordered his interrogators to shave the two men's beards as a way of humiliating them. During and after its violent takeover of the Gaza Strip in 2007, Hamas targeted Dahlan's PSS and loyalists. Some were killed or incarcerated, while many others were forced to flee the Gaza Strip to Egypt and the West Bank. For many years, Dahlan was at the top of Hamas's most wanted fugitives. No longer. Erstwhile enemies, Dahlan and Hamas today have a common foe: Mahmoud Abbas. They seem about to join forces to repay him for the humiliation they have suffered at his hands. Dahlan has long sought revenge for Abbas's decision to expel him from Fatah and prosecute him on charges of murder and embezzlement. Dahlan will never forgive Abbas for dispatching security officers to raid his Ramallah residence and confiscate documents and other equipment. On that day, Dahlan slunk out of Ramallah. Dahlan found refuge in the United Arab Emirates, a wealthy Gulf country whose rulers seem very fond of him. He receives millions of dollars from his Gulf hosts. Until today, Abbas regards Dahlan, who was once an intimate associate, as his main enemy. Exile has been good for Dahlan. Thanks to the United Arab Emirates and Egypt, Dahlan has amassed enough power and money to become a major player in the Palestinian arena. In the past few years, he has succeeded in building bases of power in the West Bank and Gaza Strip, largely with the cash that he has been providing to his loyalists and others. More importantly, Dahlan has succeeded in building a personal relationship with Egyptian President Abdel Fattah el-Sisi, who also seems rather partial to him. While this relationship has alienated Abbas, Hamas sees it as an opportunity to rid itself of its increased isolation in the Gaza Strip. Hamas's predicament has been exacerbated by the continued Egyptian blockade on the Gaza Strip, specifically the closure of the Rafah border crossing, and a series of punitive measures taken by Abbas in recent weeks. These measures, which are being described by Hamas as a "declaration of war" on the Gaza Strip, include refusing to pay for electricity that Israel supplies to the Gaza Strip, halting the shipment of medicine from the West Bank, denying permits to patients to leave the Gaza Strip for medical treatment, and cutting off salaries to thousands of PA and Hamas civil servants and former security prisoners (who had served time in Israeli prisons). 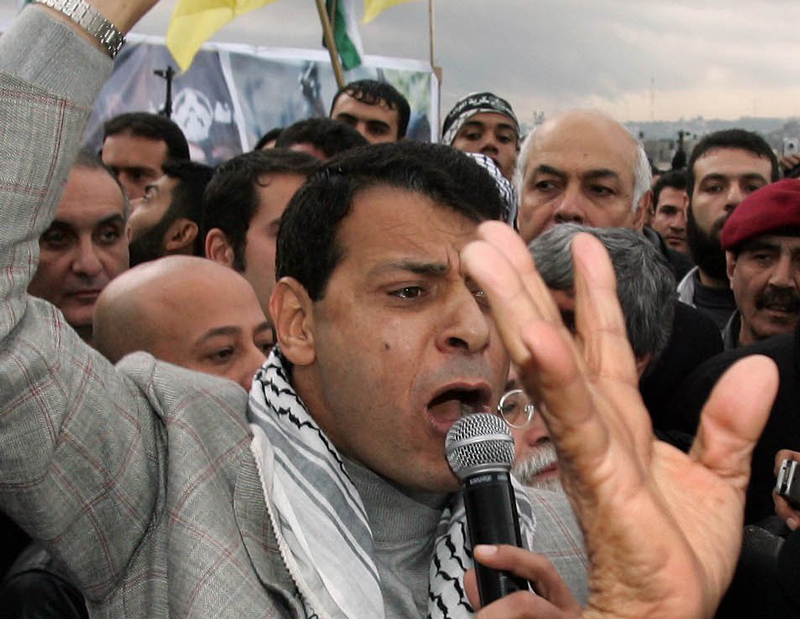 Dahlan is desperate to make a comeback to the Palestinian political scene. He is fed up with exile, far from his friends in the West Bank and Gaza Strip. He is also aware that the 82-year-old Abbas may be nearing his end, especially in light of rumors concerning his failing health. Dahlan also sees Hamas's desperation now that its main patron, Qatar, is facing massive pressure from Saudi Arabia and other Arab countries to cease funding the Islamist movement and its mother group, Muslim Brotherhood. Hamas wants to hold on to power in the Gaza Strip at any cost, even if that means swallowing the poison pill of aligning itself with someone like Dahlan. Hamas has no intention of changing its ideology or engaging in any peace process with Israel. It will not recognize Israel's right to exist or abandon the "armed struggle" to liberate all of Palestine, "from the Mediterranean Sea to the Jordan River." The name of the game, as far as Hamas is considered, is survival. Hamas fears that the continued Egyptian blockade and Abbas's draconian measures may undermine its rule over the Gaza Strip. Even worse, Hamas fears that the pressure and sanctions could trigger a Palestinian "intifada" in the Gaza Strip. Hamas knows full well that the electricity crisis and lack of medicine is destined to explode in its face. Hamas believes it has now found a way out of the crisis. Ironically, yesterday's number one enemy, Dahlan, could prove to be the savior -- the very Dahlan who imprisoned and tortured and killed many Hamas members and leaders. The same Dahlan who, as a security commander in the Gaza Strip, was responsible for security coordination with the "Zionist enemy." The Dahlan who is one of the main byproducts and symbols of the Oslo Accords, which Hamas continues to reject to this day. Last month, Hamas leaders traveled to Cairo for talks with Egyptian intelligence officials and representatives of Dahlan, on ways of ending the "humanitarian crisis" in the Gaza Strip. It was the first meeting of its kind between Dahlan's men and Hamas leaders. Mahmoud Zahar, a senior Hamas official, disclosed that the two sides reached "understandings" over a number of issues, including the reopening of the Rafah crossing between Egypt and Gaza, and allowing entry of medicine and fuel for the power plants in the Gaza Strip. Hamas also reached an agreement with the Egyptians to build a security buffer zone along the border between the Gaza Strip and Egypt, to stop the smuggling of weapons and the infiltration of terrorists. This week, Hamas bulldozers were already seen breaking ground along the border. The unexpected rapprochement between Dahlan and Hamas has already resulted in the return of some of Dahlan's loyalists to the Gaza Strip. Now, everyone is waiting to see if and when Dahlan himself will be permitted to return to his home in the Gaza Strip. Sources in the Gaza Strip believe that the countdown for Dahlan's return has begun. The sources also believe that he may be entrusted with serving as "prime minister" of a new government, while Hamas remains in charge of overall security in the Gaza Strip. In fact, Hamas already has its own "administrative committee" that functions as a government. Dahlan's role will be to help break the blockade on the Gaza Strip, attract Arab and Western funds, and improve living conditions and the economy. Dahlan, in short, may be on his way to become Mayor of the Gaza Strip. Already this week, there were signs that Dahlan may have already succeeded in convincing Hamas that he is indeed the long-awaited savior: Egyptians began dispatching trucks loaded with fuel to the Gaza Strip to help solve the electricity crisis. Moreover, the Egyptian authorities have expressed readiness to reopen the Rafah terminal. The "understandings" reached between Dahlan and Hamas may help alleviate the suffering of the Palestinians in the Gaza Strip and pave the way for improving the economy. However, the biggest winner will be Hamas, which is not being required to make any meaningful concessions other than allowing Dahlan and his loyalists back into the Gaza Strip. Hamas is not going to stop digging tunnels along the border with Israel for fear of Dahlan. He will likely enjoy extensive civilian powers, but security matters will remain in the hands of Hamas and its military wing, Ezaddin al-Qassam. This new reality could buy quiet in the short term. In the long term, however, Hamas is likely to emerge as stronger and more prepared for the next war with Israel. For Dahlan and Hamas, it's win-win. No wonder, then, that Abbas and his friends in the West Bank are angry and anxious. The unholy alliance between Dahlan and Hamas, in their view, is nothing less than an attempt to establish a separate Palestinian state in the Gaza Strip. The international audience might wish to take note: it is now official -- the division between the West Bank and Gaza Strip marks the end of the so-called two-state solution. On the Palestinian street, it appears that the Palestinians are closer than ever to achieving two separate entities of their own -- one that is run by Abbas's Palestinian Authority and another controlled by Hamas and Dahlan. As long as we know that Hamas is preparing for another war with Israel, we should cut off any supplies which help in that endeavor. If Hamas wants to build tunnels, stop any cement exports to Gaza, any steel cables, any electrical wiring, etc. If that is what they have on their stupid minds, then cut off anything else that aids in this effort. Clearly, any conflict with Israel will destroy more of Gaza and as always the people will suffer; Hamas and its henchmen will not. While we should not cut off water and food (electricity already down to 3 hours a day), we should let them know that we will not sit idly by. If the world screams, let them take out Hamas. The "two-state-solution" has existed since 1922: Eastern Mandatory Palestine to the Arabs, I.E. "Transjordania" (Jordan) and Western M.P. for the Jews, i.e. Israel. What Mr Toameh disregards is the "four-state-solution": Jordan, Israel, "Falasteen", and Gaza. Eventually "Falasteen" and Jordan might federate. In any event Jordan, "Falasteen", and Israel will create a de-facto (perhaps de-jure) Economic Compact. Some of the Compact's elements already exist. As long as Gaza-'Hamas will continue to be supported by far-away powers wanting a say over the near-East (Egypt, Gaza, Israel, "Falasteen", Jordan, Lebanon, "Syria"), 'Hamas will continue to be supported. Egypt is the most threatened since 'Hamas is closely allied with its Muslim Brotherhood. Dahlan might be able to rise to total power in Gaza and evolve 'Hamas away from the Brotherhood. At any rate, that's what all the other players hope. Dahlen is window dressing for the liberal socialist left in the West. And they are easy to fool because half of what they believe is ideological and based on false positives.